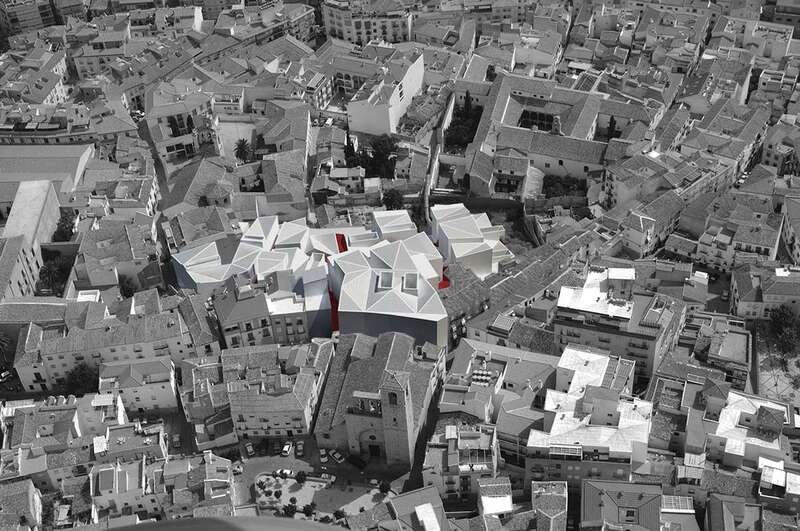 The proposal for the old “JEWISH QUATER” which no longer exists, provides a solution to the uncertain value of the few archaeological findings and the requirements set by the tender for social housing . The project develops the idea of ​​a DENSE living space as a feature of our society, more accustomed to dense space rather than emptiness, crossing with other people rather than solitary experiences. 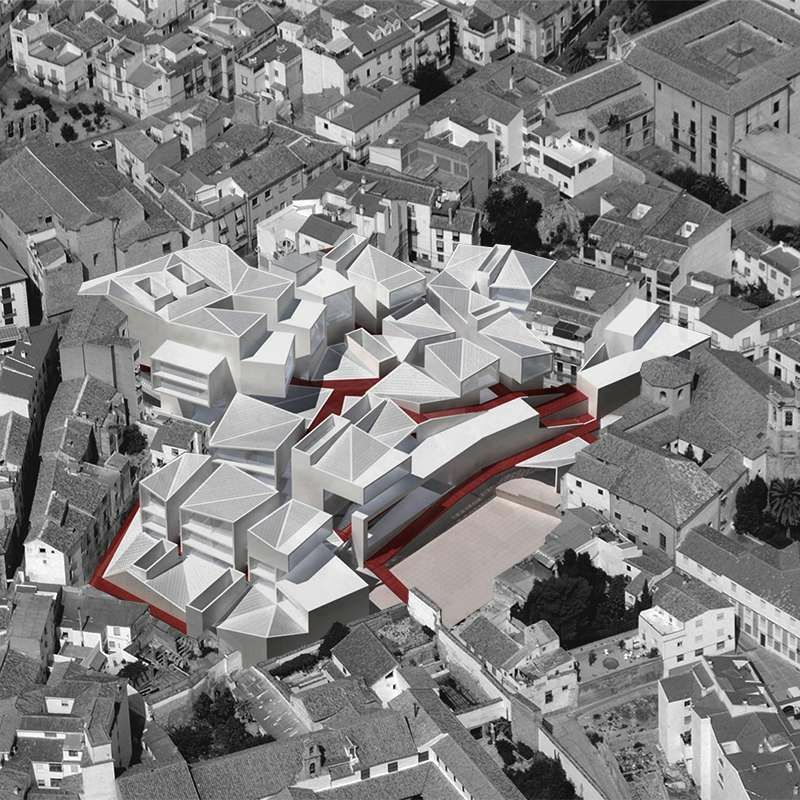 It proposes to introduce an INTROVERT plan to locate housing units, created respecting the quota of the ruins in order to allow the lesser public space. The covered area will be organized in accordance with a more contemporary concept of public space, providing administrative spaces, archeology laboratories or commercial spaces that better adapt to the current criteria and ephemeral configurations that our society shows. The backfill of this element consists in accessible inclined planes that fit the urban voids, keeping a rhythm of coverage which relates to surrounding roof tops. The intended result is a space that is developed from the analysis of public and residential architecture that seeks protection from variable weather, closed to the outside, with open internal courtyards for light penetration. This concept has its roots in the Muslim cities and in their successive subsequent modifications, due to spontaneous architecture, that has built entire cities.